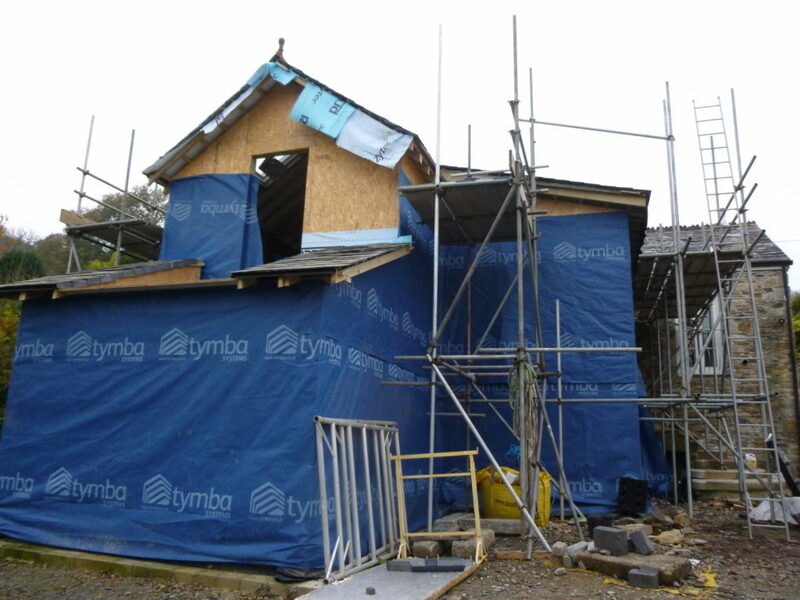 Back in September we mentioned that we were setting out the base for a new extension to a barn conversion in Cornwall. Well…..now that the timber frame is complete and the rag slate roof on, this week we returned to Streamside to start cladding the external walls in natural stone. 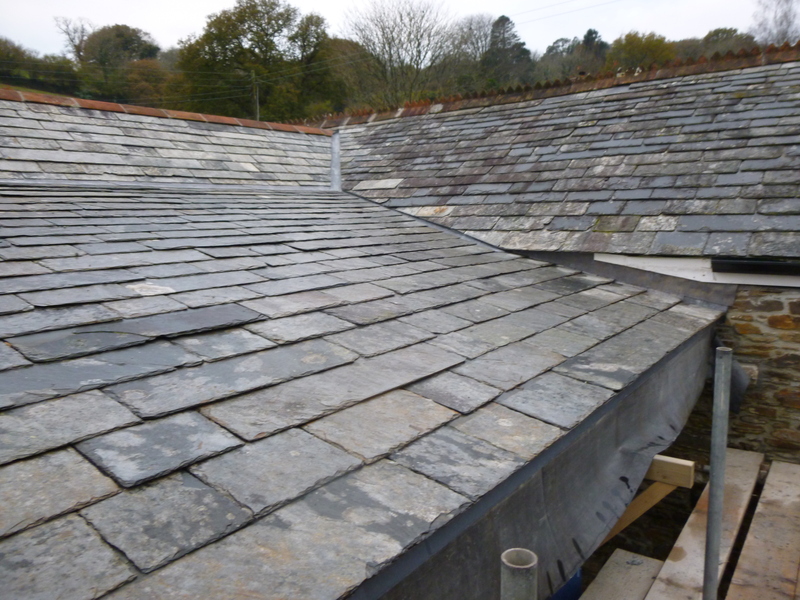 This is the second phase for this project as we carried out the conversion to this barn a few years ago. 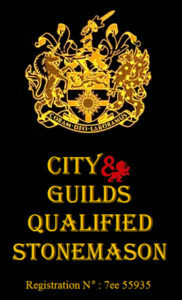 In total there will be approximately 140 square metres of stonework to be carried out for this project. 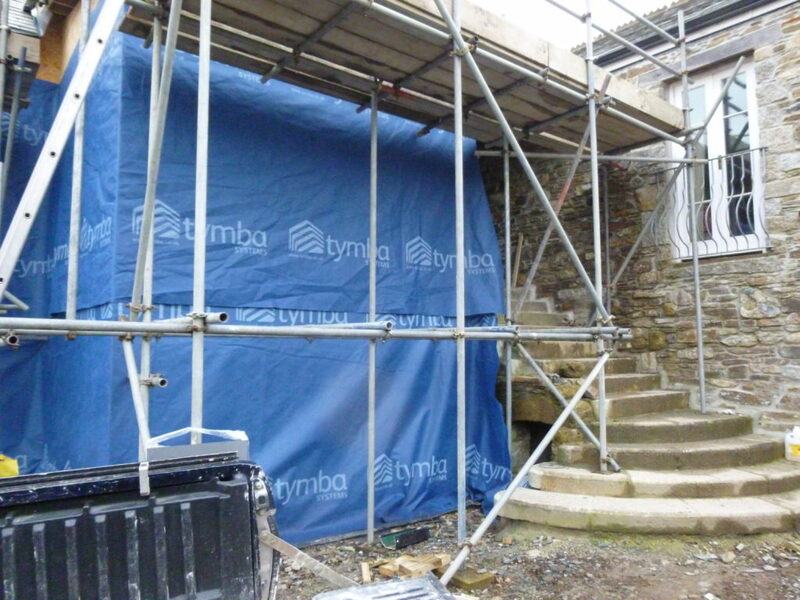 Whilst we were setting out all the blockwork for the base a few weeks ago another task we had to carry out before the timber frame could be erected was to demolish the existing flight of stone steps leading into the barn and completely rebuild a new set of steps to suit the new design. 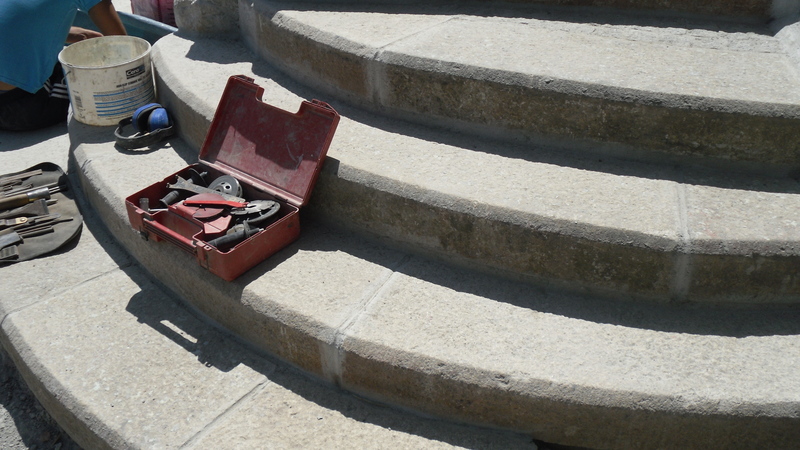 For this we used about ten tons of reclaimed granite and the first few steps were formed on a radius. We’ll keep posting further updates as this project proceeds. 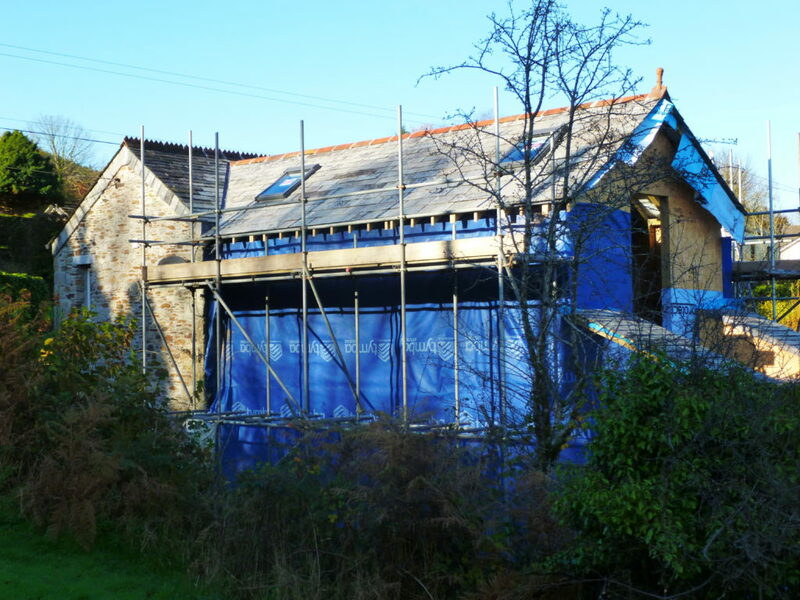 We have just recently laid foundations in preparation for a large extension to ‘Streamside’, a little barn situated in the small isolated hamlet of Middlewood in Cornwall. 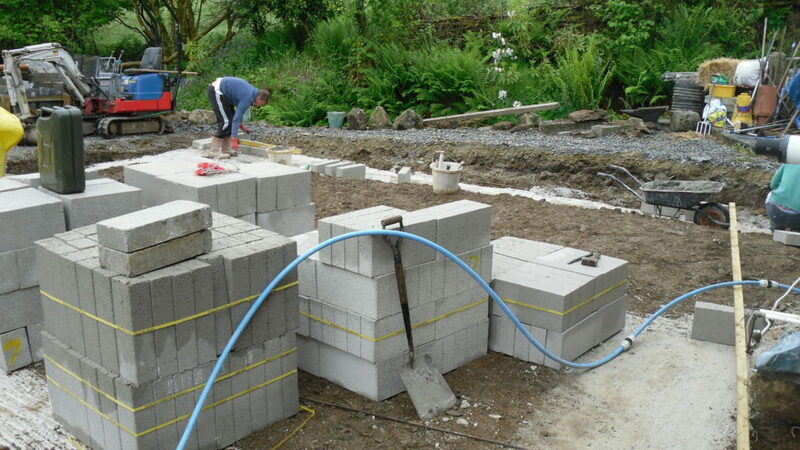 We have also built the blockwork up to floor level and cast the concrete floor slab. The design detail for this is going to be timber frame so currently we are off site whilst the carpenters erect all the timber work and get the roof in place. Once they have finished their job we will be back on site constructing all the stonework for the external walls and landscaping. We will keep you posted as the work proceeds. 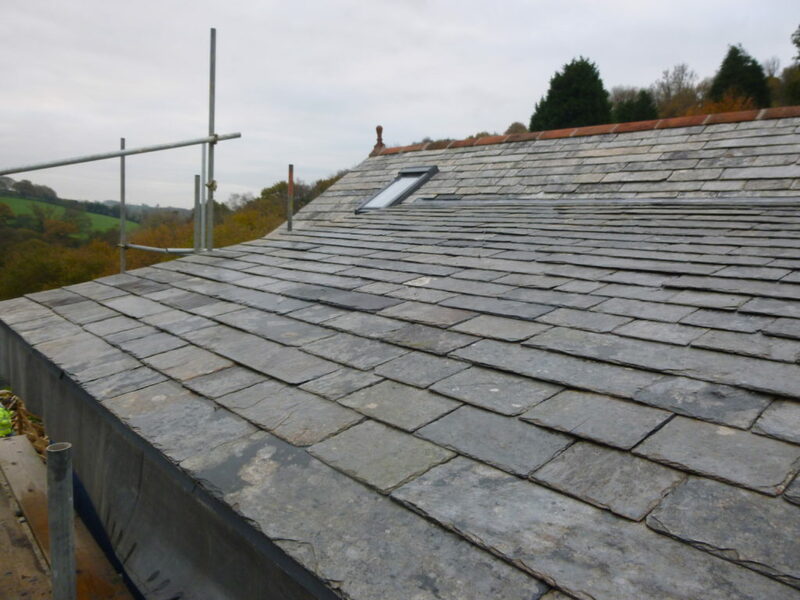 Streamside is a barn that we converted a few years ago, although a small barn in comparision to most, more than two thirds of the external walls had to be rebuilt during this first phase. In the meantime you can see what we did here if you click this link.